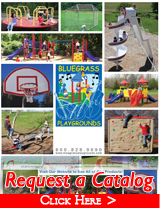 About Us - Bluegrass Playgrounds, Inc.
Bluegrass Playgrounds, Inc. is an experienced playground and amenities provider since 1976. The company was formerly 'Dan McElroy Playground Equipment' before we sold the manufacturing of our modular playground equipment to Sportsplay Equipment of St.Louis, Mo. In this aspect, we have designed, manufactured, installed and even photographed most of the playground equipment that is on our website. We are located in Ashland, Nebraska and sell playground equipment nationwide and even worldwide . 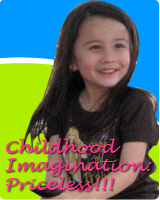 We specialize in quality commercial playground equipment with competitive pricing. Our main customers are cities, towns, villages, schools, churches,day cares, real estate properties and more. Our goal is to keep our customers satisfied and ensure that they enjoy the product they purchase from us. Honesty and integrity are important to us so we promise to assist you in any way to make your purchase a pleasant experience and at the most competitive price on the market. Thank you for visiting our site and for your interest . Contact Dan McElroy or Sara Nicola for any inquiry, or.